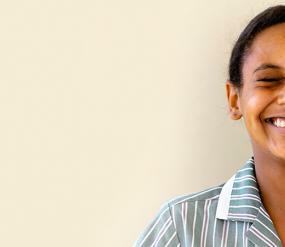 Years 7–12 at MLC is a time of growth, development and excitement. We present all our students with a rigorous academic curriculum and a plethora of learning opportunities. Our girls’ academic needs are catered for in their classrooms, whether that be via Learning Support or academic extension. 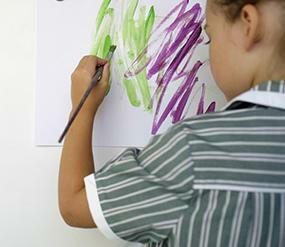 Individual learning plans or modified learning programmes may be drawn up for girls needing additional assistance. As part of our pastoral care programme, every student is allocated a Mentor Group, in which a designated mentor guides their development as they discover their interests and passions. 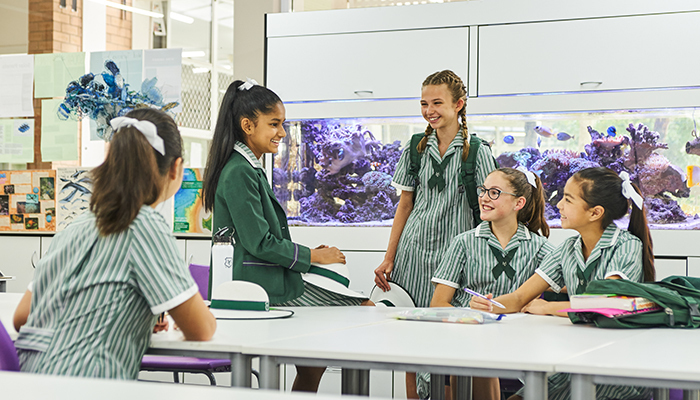 To aid the transition to secondary education, students in Year 7 are supported as they adapt from being in a single classroom with their teacher to negotiating numerous classrooms and specialist teachers. Gradual change allows our girls to maintain their confidence and take on increased responsibility. Students become more independent through Years 8–10, as they continue to develop their individual interests while being exposed to vast academic and co-curricular activities. In Years 11–12, whether a student wants to complete a WACE or VET programme, we can offer her the individual learning experience she needs to fulfil her dreams. Our highly qualified, specialist teaching staff provide challenging academic courses to stimulate our girls' minds and set them on the road of lifelong learning. For Years 7–12 students, our Academic Centre is open three afternoons a week in the Walter Shepherd Resource Centre, offering a place for tutoring. Specialist teachers are available on specific days to assist students, and an academic mentor is also available. Our holistic programme also encompasses the Walton Leadership Institute—a specific curriculum that enhances leadership development—and our unique Thrival Curriculum, which is embedded in all aspects of learning at the College. The Thrival Curriculum utilises positive psychology to cultivate a buoyant student culture and build each girl’s confidence and self-esteem. Some of our girls have been through our Kindergarten to Year 6 journey while others are starting out on their adventure at MLC. As the girls transition from a totally compulsory curriculum to a place where they will have choice, we give them the opportunity to experience all of the elective subjects throughout the year. To get them off to a running start, our Year 7 girls take part in an action-packed and fun orientation programme in the first week of the academic year. It's a chance for our girls to form new friendships as they take part in surfing, kayaking, swimming and open air cooking on camp stoves. In Term 3, they all go on the eagerly anticipated Outdoor Education camp. 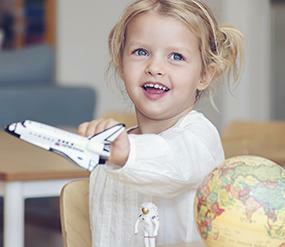 All of our girls must study one of the four languages we offer – French, German, Mandarin or Japanese. To make informed decisions about their futures, our girls also have the opportunity to experience all of the elective subjects on offer. Year 8 is a time of choice and consolidation for our girls. They choose a language plus four electives to study throughout the year. While the girls are undertaking their rigorous academic studies, we encourage them to develop the skills to be more responsible for their learning, to become critical thinkers and to be active problem solvers. In Term 2, all of our girls experience lessons beyond the classroom at the Year 8 Outdoor Education Camp. The girls are presented with challenges that they would not normally encounter, such as pitching a tent and living in close quarters with someone else in the great outdoors. The camp teaches our girls patience, understanding, co-operation, and resilience, all of which are skills for life. It's also a fabulous opportunity to demonstrate leadership, get to know each other and the staff, as well as themselves. Our Year 9 girls are the leaders and leavers of Years 7-9. They are asked to step up and take on more responsibility. Some become House leaders, while others step up to serve the community. Each student chooses three electives to study in Year 9 alongside their academic timetable. To ready them for Years 10-12, the Year 9 girls are expected to take responsibility and be accountable for their learning outcomes. Their mentor and our highly qualified, specialist educators are on hand to guide them throughout their journey and to help them hone their study skills. The two major highlights for the year are the Social and the Outdoor Education Camp. We host the Social at the College and invite Year 9 boys from the surrounding schools. The camp is an exciting adventure, building on the skills learnt at the previous years' camps. Our girls demonstrate their independence and their leadership abilities in a fun and challenging environment. It's also a great time to reconnect with each other and build new friendships. An exciting adventure lies ahead as our girls consolidate their understanding of their core subjects and begin preparations for WACE and life beyond MLC. While maintaining an academic focus, we explore careers and enterprise, and expose our girls to new life experiences. All of our Year 10 girls venture into the outside world during their week of work experience. The year ends on a high note with our Week of Amazement, which pushes their boundaries as they explore life beyond home, including working on a farm, scuba diving training, gaining a skippers' ticket or working for a charity Christmas appeal. It's also the year in which parents go into partnership with girls and the College to identify their daughter's strengths, helping her make informed choices for her future. This is the year for striving ahead academically, as the girls enter their first year of preparation for WACE. To aim for success the girls are given extra support in our Academic Centre; they receive given expert instruction on study technique and are given feedback on their work to provide solid foundations for academic success. In Semester 2 our girls are encouraged to stand for the top student leadership roles. They all participate in an exciting election process that mirrors a General Election and instils a sense of civil responsibility. In anticipation of their final year with us, our girls design their Leavers' jacket, which will be worn on campus during Year 12. Our graduate year is very special for all of our girls. Ahead of them they have many pathways to fulfil their dreams and we recognise that it is our job to ensure they have the skills to face their WACE or VET exams at the end of the year. While our wonderful young women are focussed on consolidating their learning to achieve this, they also take on the role of leaders. Their position and achievements in the College are reflected in their dress. All Year 12 students wear a blazer that is trimmed with our distinguishing leavers' braiding. They also have a Year 12 tie and are able to wear their special Leavers' jacket. Our Leavers also take part in an array of 'rite of passage' events including the Year 12 Ball, crazy stocking day, the ocean swim and their final day fun fair. At the end of the year we say our fond farewells to our graduates and recognise their achievements and contribution to the College at their Valedictory Service and Dinner, and final Awards Assembly. We know that they will all strive to the heights.